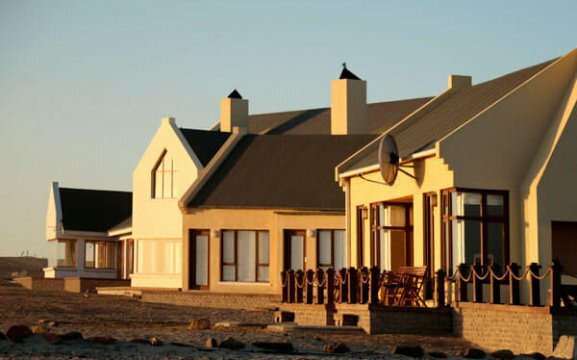 Cape Cross Lodge offers 18 double rooms and semi-suites. The double rooms have en-suite bathrooms with shower only, tea/coffee facilities and a safe. 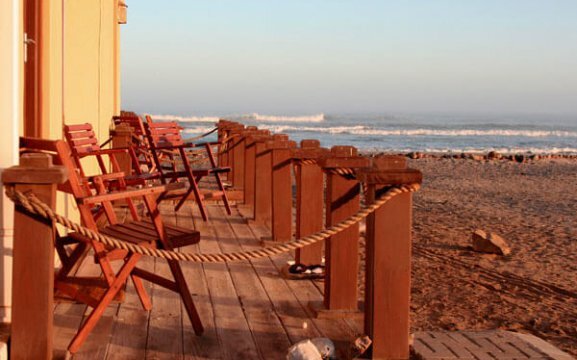 They are all sea-facing and have a patio with wooden deck chairs and tables. 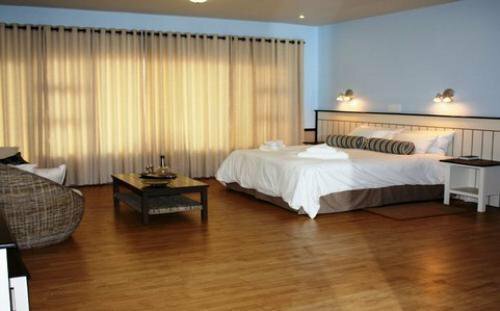 The semi-suites are larger and have en-suite bathroom with bath and shower, tea/coffee facilities, safe and 2 comfy chairs. The patio is bigger than the double rooms have. 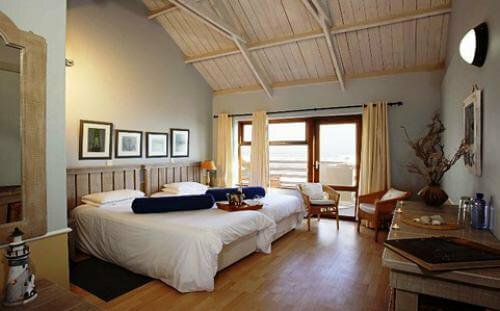 Four of the bedrooms can be linked to make up a family suite when needed. Six rooms are wheelchair accessible. There are 21 campsites which offer own light, double 220v plug and own trip switch. 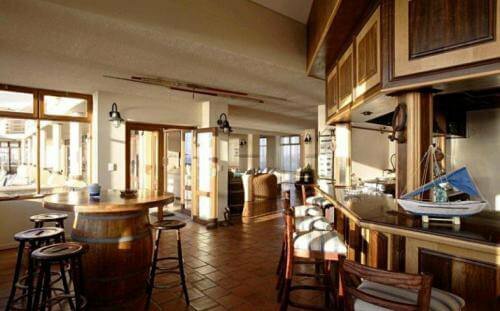 It has a wash basin with cold water, kitchen and own braai area. In the centre is the ablution facility with showers, hot and cold water, toilets, wash basins and mirrors. 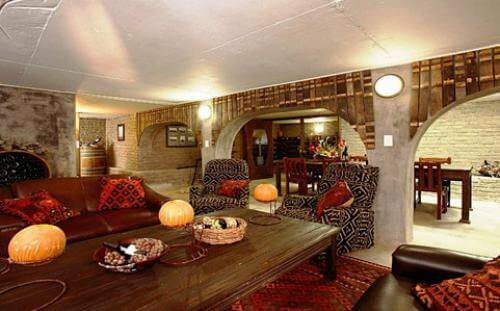 They also have an entertainment room with full DSTV and a pool table. Close to the site is a separate bar and shop that sells basic groceries and fishing gear (bait, hooks, line sinkers), toiletries, wood, ice, medicine etc. There are facilities for fish cleaning and freezing available. You can lock up your valuables at the lodge. 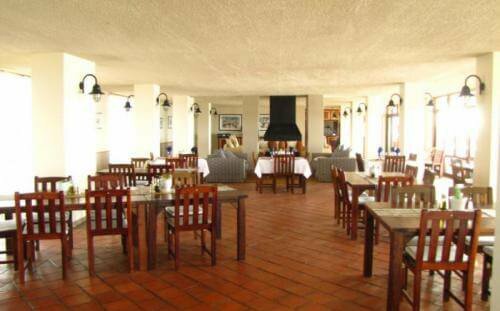 Our restaurant offers indoor and outdoor dining on the edge of the Atlantic Ocean. During winter we have the fireplace indoors, while in summer one can enjoy the cool sea breeze on the patio. We have a great variety of fresh seafood, game, meats, salads and desserts – all a la carte menu. 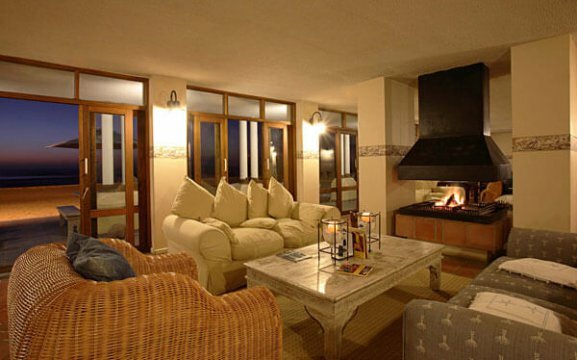 With buffet breakfast and a la carte lunch, our dinners are served around the open flame fires. In the afternoons we serve coffee/tea with freshly baked cakes. 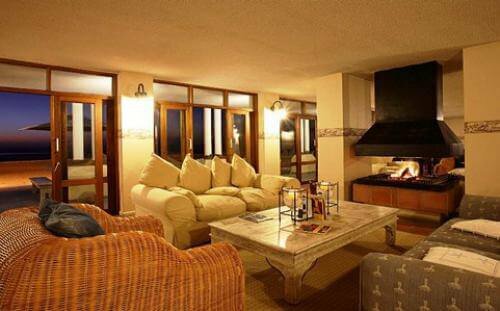 All the rooms including the dining area are displayed with artwork by a local Namibian artist. 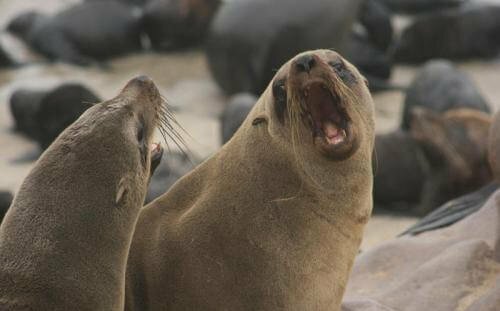 It portrays the beauty of the surrounding landscapes and wildlife. Most of the paintings are for sale. 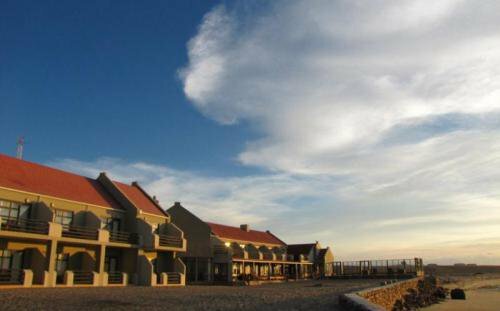 The museum is an attraction at Cape Cross Lodge, it houses many remnants of the past settlers who relentlessly withstood harsh desert elements to mine rich deposits of fossil guano and to harvest the seal skins. 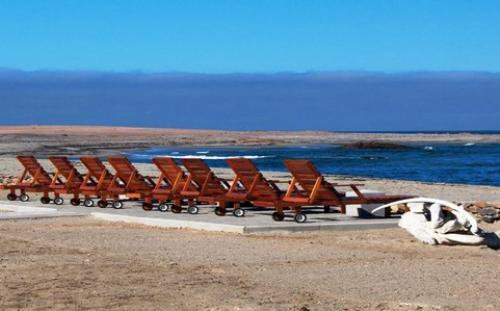 In Namibia the first railway line was established here at Cape Cross. 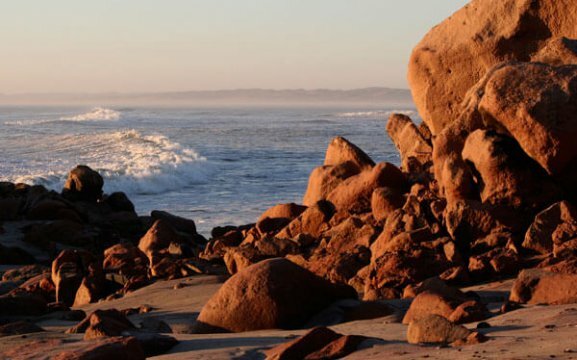 Visitors can purchase souvenirs, postcards, small mementos and the history of Cape Cross book at the museum.